China will soon launch a second medium icebreaker, said Adm. Paul Zukunft. While the country’s interest in the Arctic region may be benign, it is at the moment unclear, he said June 13 during remarks at the Center for Strategic and International Studies, a Washington, D.C.-based think tank. The speech was held in conjunction with the U.S. Naval Institute. “I don’t know what the long-range plan is — you know what is China’s vision for an Arctic strategy. Beyond the global commons, where are those lines drawn and will it encroach upon the sovereign interest of the United States? I can’t answer that question so obviously that does cause me great concern,” he said. “I’m not as concerned when I see an icebreaker doing research but if I see a mobile offshore drilling unit now moving up there [it’s], ‘Houston, we have a problem,'” he said. China — which is bulking up its Navy — has been making waves in the South China Sea as it builds man-made islands in disputed territory. It could be turning its gaze to the Arctic now. In January, it was reported that the country had commissioned a new icebreaker known as the Haibing 722. China also operates the Xue Long, which was built in 1993. 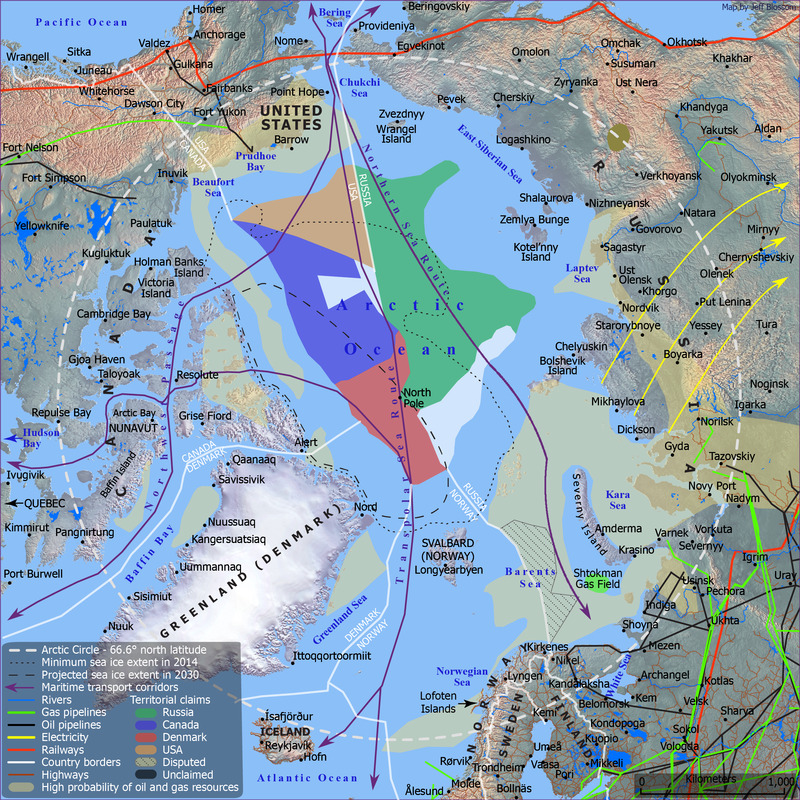 The Arctic region is rich in oil, natural gas and minerals, Zukunft said. There are a number of actors that have interests in the region, particularly as sea ice melts and new sea lanes open up. “About 13 per cent of the world’s oil, … about a third of the world’s natural gas and about a trillion dollars worth of minerals reside on the seafloor up in the Arctic region,” he said. Compared to other northern countries — such as Canada, Sweden, Finland and Russia — the United States has limited vessels that can traverse the icy expanses of the Arctic. The Coast Guard currently owns three polar icebreakers — the USCGC Polar Star, USCGC Polar Sea and the USCGC Healy. Only the Polar Star, a heavy-duty vessel, and the Healy, a medium-duty vessel, are operational. The service has for years been making the case for the construction of a new polar icebreaker. It has been estimated that it could cost $1 billion to procure. The Obama administration’s fiscal year 2017 budget request allotted $150 million to support design activities required to begin production of the ship in fiscal year 2020. “We’ve already hired acquisition staff personnel so we can get a jump start if we have an appropriation,” he said. Even if the United States had more icebreakers, however, the country will never have enough presence to meet every challenge in the region, he said. “The United States can’t do it alone,” he said. It must collaborate with other Arctic nations during emergencies. 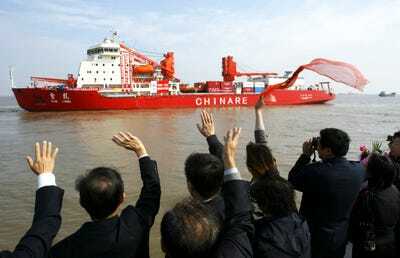 Stringer Shanghai/Getty ImagesA Chinese icebreaker. Zukunft recently met with Arctic Council member states — which include Russia, Canada, Denmark, Finland, Iceland, Norway and Sweden — to stress the importance of collaboration and to set up an information-sharing infrastructure, he said. For example, under such an information sharing agreement, Zukunft could easily call Russian counterparts if the nation displayed provocative behaviour in the region, he said. “Say you have an event up in the Arctic, and maybe it’s our icebreaker and for whatever reason we get buzzed by a Russian aircraft. I can reach out to my counterpart and say ‘Hey, what’s up with this?’ The other service chiefs don’t have that luxury,” he said. The region is “the one area where we have an open dialogue with our Russian counterparts in terms of how do we frame the strategic environment of the Arctic,” he said. The United States’ icebreaker fleet pales in comparison to that of Russia, which has 41 such vessels. Even so, Russian officials have said the country doesn’t have enough resources to meet the demands of the Arctic alone, Zukunft added.